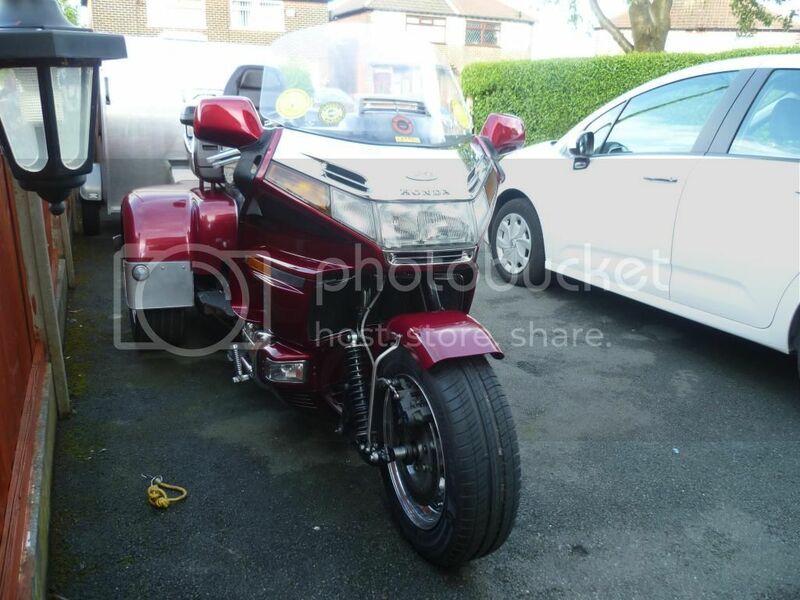 All in all, how would you say the trike conversion went? I too, need to convert to a trike do to health reasons. Hi Barry really enjoying the trike,the Tri-wing kit went together okay...Althou not the easiest kit to build....For the money im very pleased how it turned out,going to plenty of rallies,shows and ride outs. Earlier this year the trike had major surgery on front end. 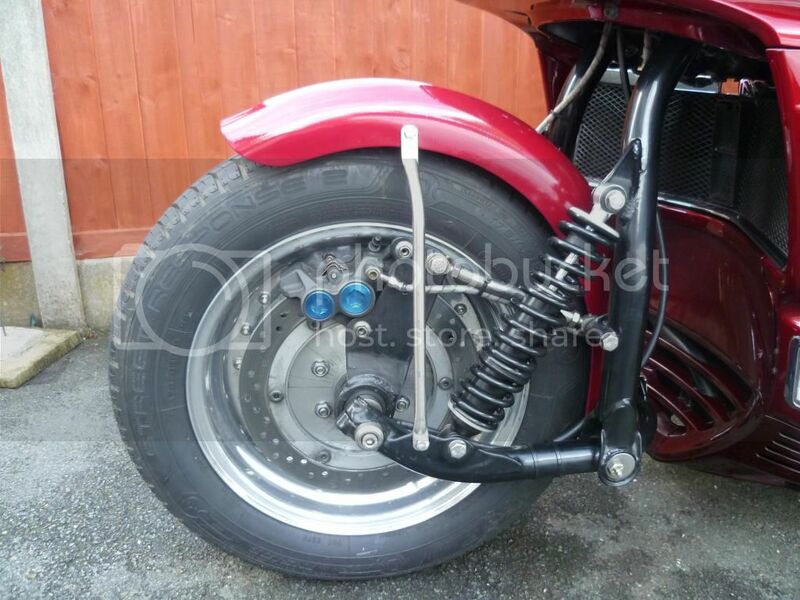 Wasp Motorcycles leading link front end,car front wheel.175;60;/15 tyre. Sports bike 4 piston calipers. The steerings nows awesome,much lighter 1 handed steering.Really stable in the turns.Much better braking.Its been well worth the wait. I am in the process of gathering parts and stuff to convert to a trike also. Due to mine being a 1200, the only choice I have is the Tri-Wing kit. Being able to see yours go together has made the decision much easier for me.